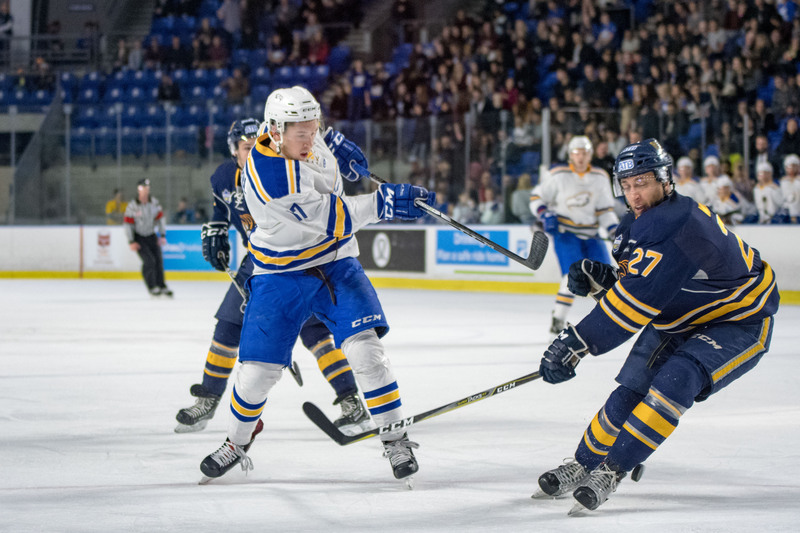 The UBC Thunderbirds men’s hockey team had a lot to prove on Friday night in front of the 5,500 fans who made it out to the fourth annual Winter Classic. After sweeping a pair of games last weekend against Canada West’s bottom team — the Regina Cougars — they looked to continue their momentum against the Lethbridge Pronghorns in front of their record-setting crowd. The Thunderbirds didn’t disappoint, winning a tight 2-1 game in exciting fashion — it wasn't an easy win, though. The building was abuzz with excited fans and nearly 200 alumni hoping to see their team pull off a victory, something the team hoped they could feed off of to fuel the home game. On top of the excitement, games against close rivals like the Pronghorns have become all the more critical considering a Canada West conference that has tightened up into the new year. 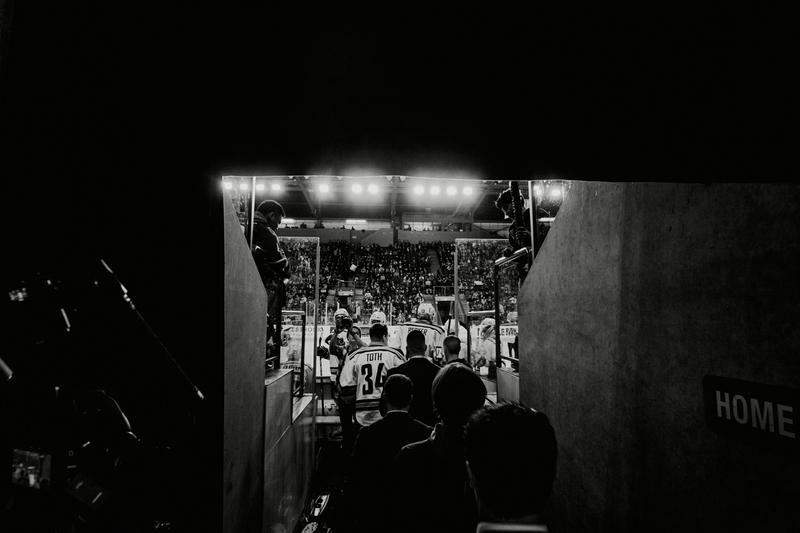 Despite the magnitude of the Winter Classic game and the importance of a win over Lethbridge for the conference standings, the Thunderbirds had to have everything go right in order to pull off a Classic victory. The evening saw an attack that was not particularly potent, including three unsuccessful power play opportunities, and still relied quite heavily on odd-man rushes. They would finally manage the opening goal on a two-on-one off a turnover at the Pronghorn blue line in the 15th minute. The team’s leading scorer, Austin Vetterl, made a nifty move and threaded the puck through the five-hole of Lethbridge’s Garret Hughson for his twelfth of the year. Their lead would only last a few minutes though as Lethbridge's Brooks Maxwell got on the board for the Pronghorns just before the end of the frame. 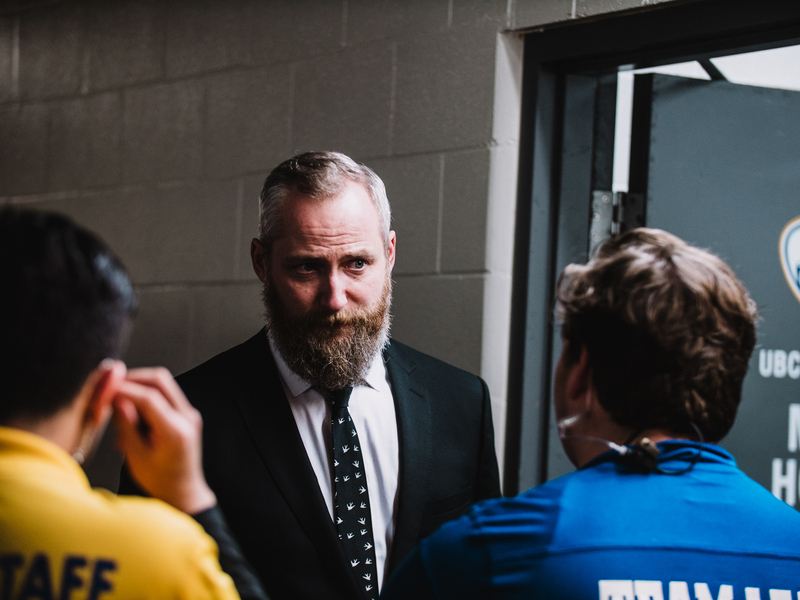 The tie would last until the third period when UBC finally broke the stalemate. UBC's game-winner came off a long-range shot from rookie sensation Tyler Sandhu, though it initially missed the net. The puck ricocheted off the end-boards and was lost under the pads of Hughson, who ended up kicking the puck into his own net in the first minute of the third. 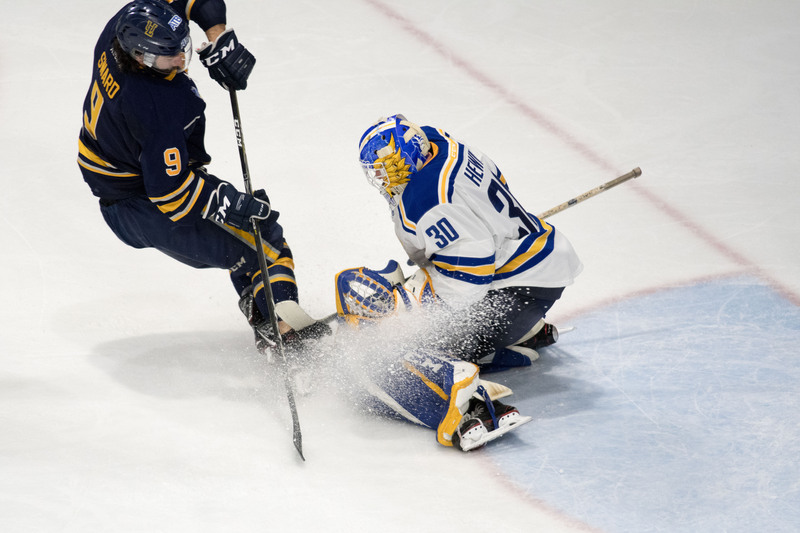 Though the final goal required a fortunate bounce in UBC's favour, head coach Sven Butenschon credited his team’s increased volume of shots for the Winter Classic win. In the dying minutes of the third period, with UBC up by just a goal, the Pronghorns pulled their goalie for an extra attacker, in hopes of tying the game. Matt Hewitt was forced to make a heel-kick save that can only be described as a Winter Classic miracle in order to help his team secure their victory. Again, he proved invaluable to the ’Birds success. “To be honest, I blacked out,” Hewitt said of the play. “I just threw my pad out and I got a piece of it – I’m not exactly sure what happened, but I’m just thankful it didn’t go in the net and we pulled off the win." The woes that the ’Birds faced at the end of 2017 were often attributed to poor puck-luck or bounces that simply didn’t go their way. However, when things do bounce the right way for the team, they still have to grind and fight hard to the final whistle and rely on Hewitt to hold them in it. That said, this Winter Classic was still an important one for the T-Birds. Their victory over Lethbridge is proof that it isn’t going to be easy down the final stretch towards playoffs. But, they are now on a three-game win streak — momentum, it seems, is on their side.